Rotarian Rudy Heijdens, known to many for his tireless work as founder and director of the Hastings and Prince Edward Children's Chorus, was the Quinte Rotary Music Festival's platinum sponsor for 2015 and 2016. Born in the Netherlands, Rudy and his family survived the German occupation of the Netherlands before emigrating to Canada in 1951. A student of the organ, he continued his musical and post-secondary education in Canada and entered the teaching field. After moving to Belleville, he was offered the position of Curriculum Coordinator-of-the-Arts with the then Hastings County Board of Education, a position that he held until his retirement in 1993. In 1986, Rudy founded the Hastings County Board of Education Concert Choir, now known as the Hastings and Prince Edward Children's Chorus. This international award-winning group has toured Europe many times, as well as performing at Carnegie Hall and parliament buildings in both Ottawa and Toronto. 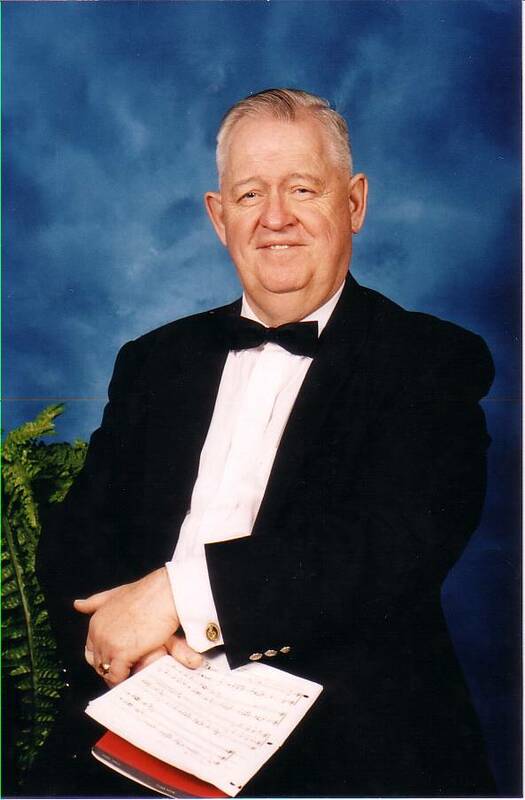 He also served as organist at St. Andrew's Presbyterian Church in Belleville for 33 years, retiring in 2005 in order to devote all of his time and energy to the chorus. Rudy hopes that his contributions as sponsor ($1,000 at the gold level, and $2000 for platinum) "will stimulate the growth of the music festival, and perhaps encourage other donors to come forward to keep music alive and well in the Quinte area." Pinnacle Music Studios is a unique music facility located in downtown Belleville, Ontario. 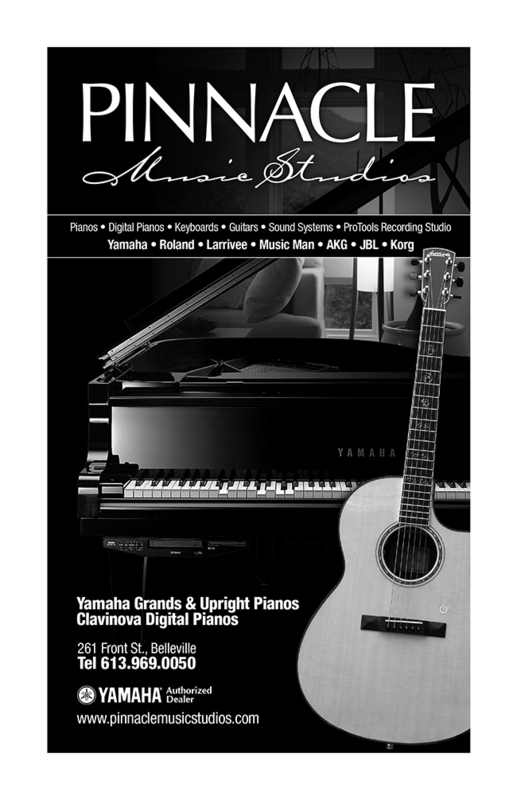 The 12,000 square foot, three storey historic building houses a full line music store specializing in Yamaha pianos, digital pianos, professional keyboards and home portable keyboards. There is also a music school with twelve private teaching studios and one group studio, seventeen teachers and over five hundred students. Pinnacle also provides a professional full-service recording studio. 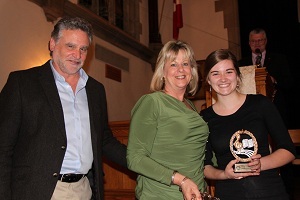 Pinnacle Music Studio is owned and operated by Ken and Janet Harnden, pictured here presenting an award to one of the 2012 Festival winners, Christy Groot Nibbelink. Pinnacle Music Studio has been a long-time supporter of the Quinte Rotary Music Festival. The committee is very grateful to have had their sponsorship over the years.